It goes without saying that the rental application is a crucial tool for a successful tenancy, from screening tenants to collecting tenant debt. 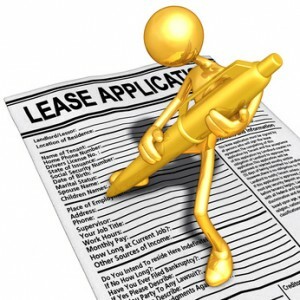 In many ways, the rental application is even more important than the lease agreement. Yet, many landlords focus more attention of the lease, and use rental application forms that are outdated or do not maximize the protections the application can provide. The rental application creates the first impression for the tenant, and that can affect the landlord-tenant relationship throughout the tenancy. The form itself should be well-formatted, easy to read, crisp and clean. It should be presented as a legal document. Include a cover letter or introduction pointing to important points in the application. Applications generally include a declaration — a statement signed by the tenant that the information provided is truthful. Unfortunately, the declaration typically is at the very bottom of the application, and this weakens the impact. Don’t surprise the applicant by having them discover the declaration at the end — after they’ve already stated the information. That applicant is far more likely to just sign it and hope for the best. Let the applicant know before they pick up the pen that they will be signing a declaration of accuracy and truthfulness. That way, they are more likely to be forthcoming with their answers. Use an introductory paragraph or a cover letter to point out to the applicant that they will be swearing that the information they give is complete and honest. Also, state the consequences of providing false information: denial of the application, and eviction are the typical remedies for lying on the application. Leaving blank spaces is the same thing as lying — it’s just easier for the applicant. Don’t let anyone get away with leaving items blank. The information you are requesting — banking info, past addresses, credit and personal references — is vitally important to managing the tenancy, and to collecting unpaid rent or damages if it comes to that. Don’t give the tenant the advantage by accepting a rental application that is full of holes. It sets the bar too low, and encourages this tenant to break other rules as well. Another critical reason that a landlord must use a rental application to to gain permission to conduct a tenant background check. Let the tenant know ahead of time that this is going to be the next step in the application process. Be specific. State that you will run a credit report, and that you will be checking references. By letting the applicants know this ahead of time, you discourage unqualified applicants, and fill vacancies faster. Be mindful that the application must be signed by the tenant. Check the signature to be sure they use their legal name, and that name matches what is stated on the application. Each adult occupant should complete and sign a rental application form. Be aware that many online forms do not provide a space for signatures, and that must be added to the form. Take the application process seriously, and the applicant is more likely to take it — and their new landlord — seriously, too. Great article, thanks! I actually moved the declaration statement right to the top of the application so that the prospective tenant is fully aware of it. Thanks for the tips. Great tip. I had never thought of the declaration. We have a credit approval section that they sign but it doesn’t cover telling the truth!